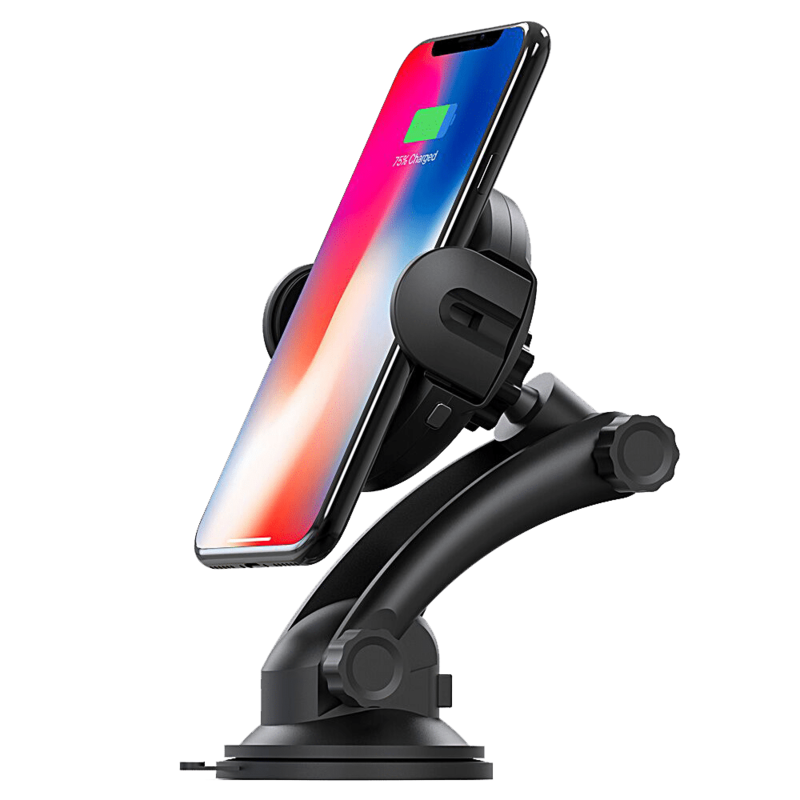 The first car support with quick and customizable Wireless Charger and automatic opening electronics. When you approach your hand, Qigo opens its clamps automatically and holds your phone. The clamps will close back and will hold your phone safely. Place your phone to start charging FAST Wireless. Our charger adjusts to ensure maximum recharge speed. Choose the graphics you prefer! Thanks to our STICKERS You have the possibility to personalize your qigo. Place it where you prefer thanks to the 2 interchangeable attachments and rotable at 360 °. Support for air conditioning nozzles with double adjustment and support with revolutionary suction cup connection. Is your smartphone not compatible with wireless charging? No fear! Through our special adapter every smartphone becomes compatible with the wireless charging. Quick and easy to assemble. Just mount it inside your cover. Once it is positioned above the baseplate it will automatically activate the recharge.